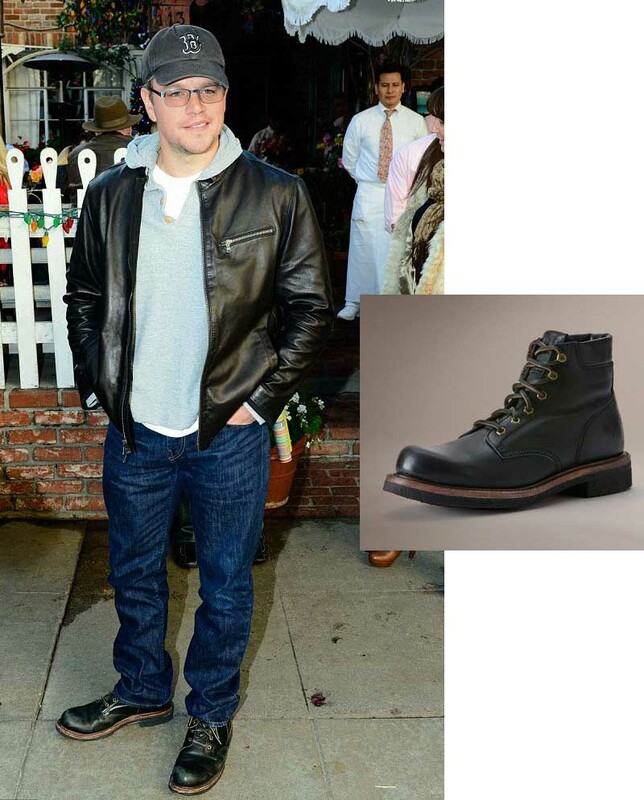 LOS ANGELES, Dec 10, 2013/ —- Matt Damon loves his Dakota Crepe Plain Toe Boots by The Frye Company! He was spotted wearing them in Beverly Hills, CA on December 7th, 2013. The Dakota Crepe Plain Toe is available for purchase at The Frye Company’s website at www.thefryecompany.com. Founded in 1863, Frye’s history and heritage is told in every stitch of the shoes that the company has made in the past 150 years, across cultural shifts and changes in tastes, for generation upon generation.